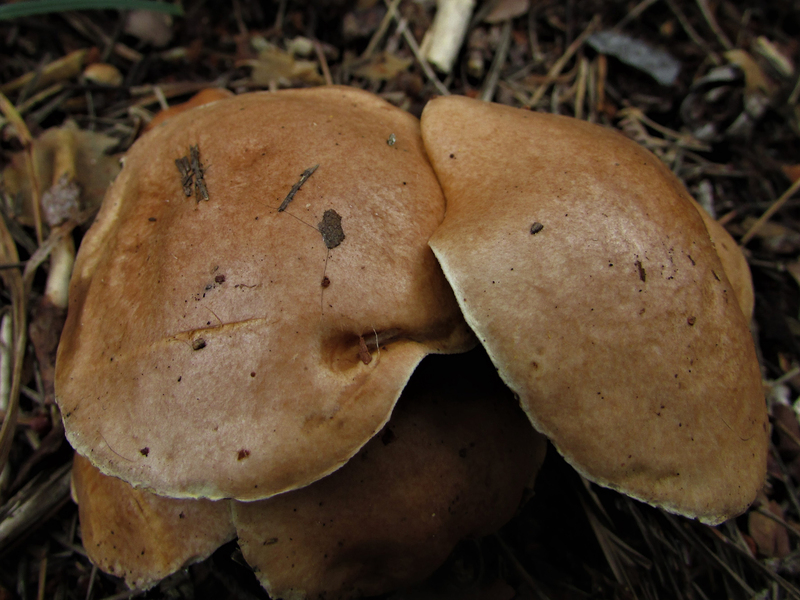 The Bovine Bolete, Suillus bovinus. 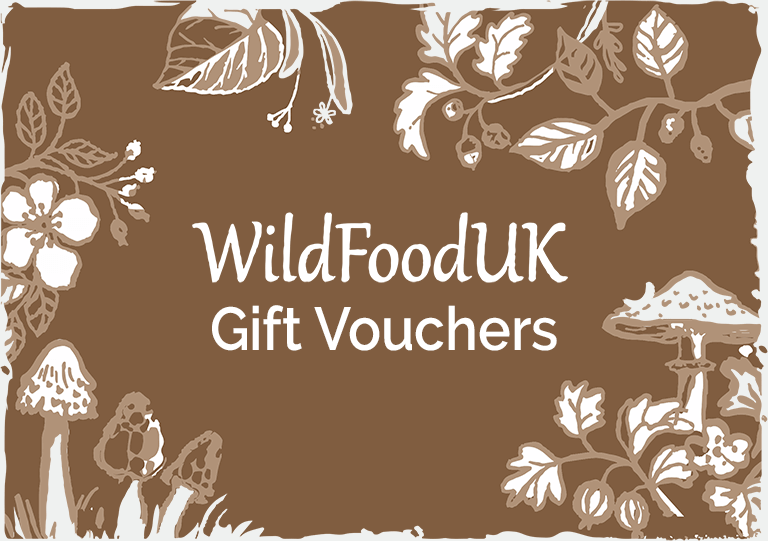 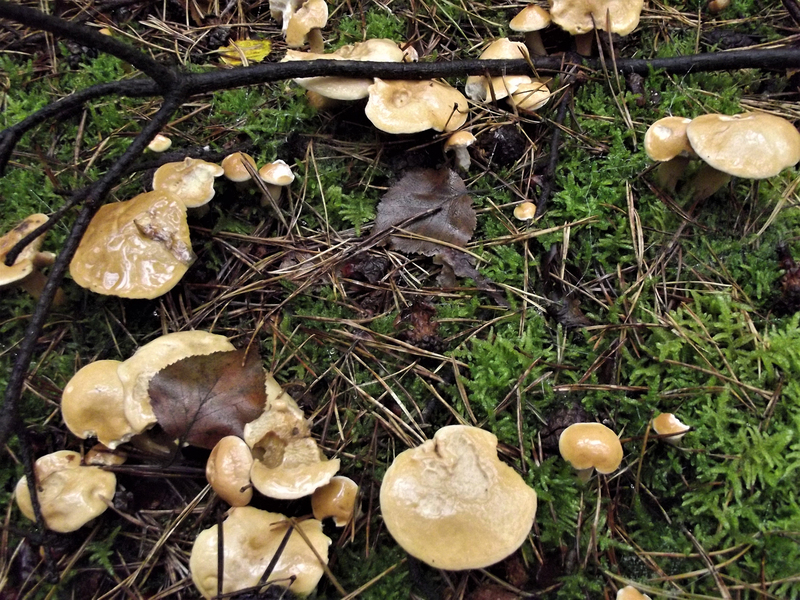 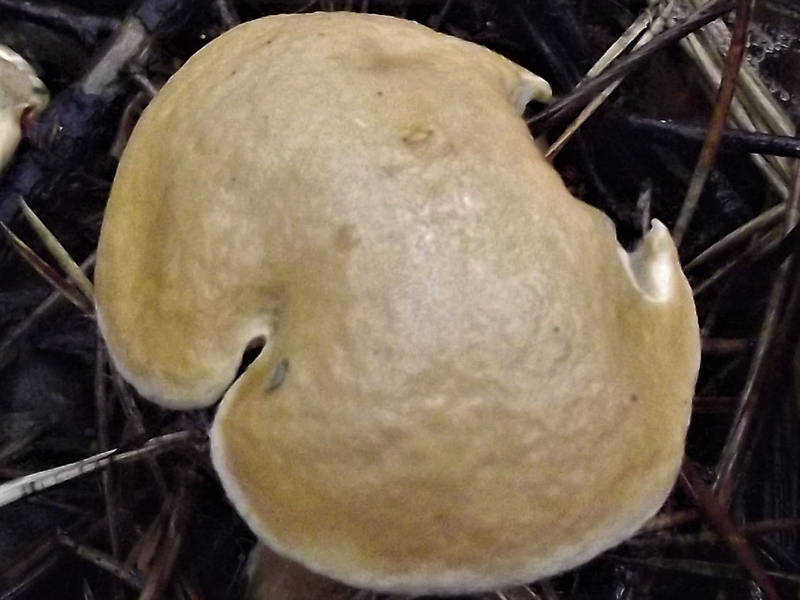 This mushroom can be found growing in large numbers in late Autumn. 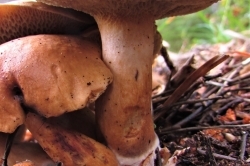 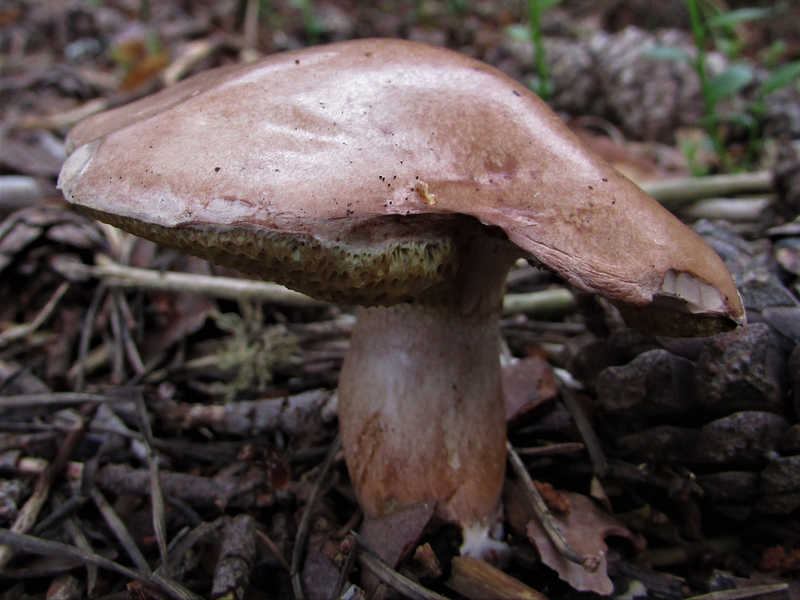 Like other Suillus mushrooms, whilst being edible, it is best to remove the slimy skin of the cap and pores before consumption, which unfortunately doesn’t leave much mushroom! 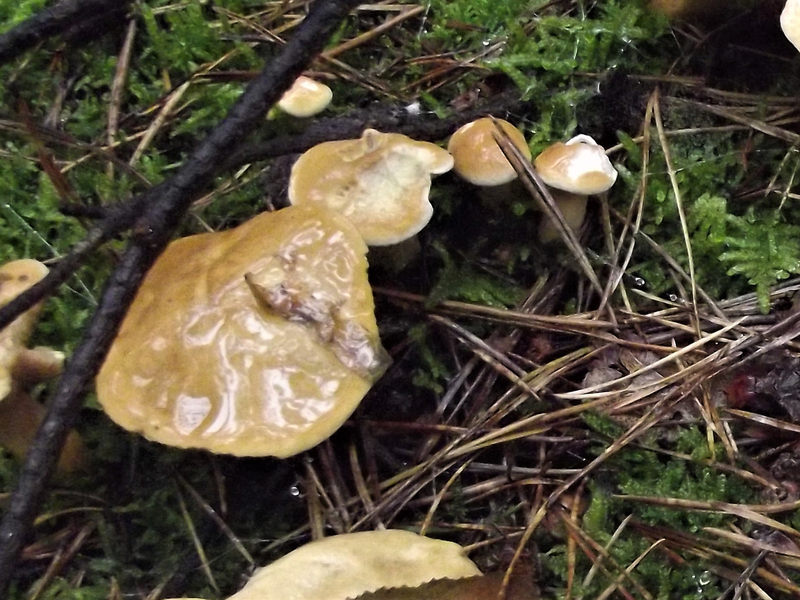 Pale orange-yellow with grey to pink hues. 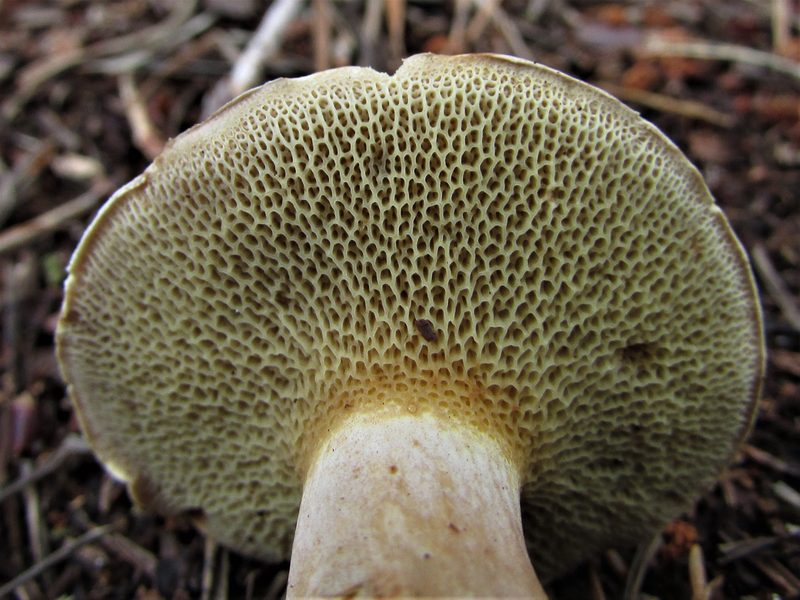 Wet to the touch with a pale edge to the cap. 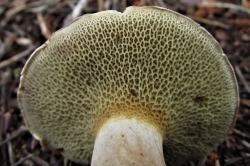 Orange-tan to pale-olive pores that are angular not round. 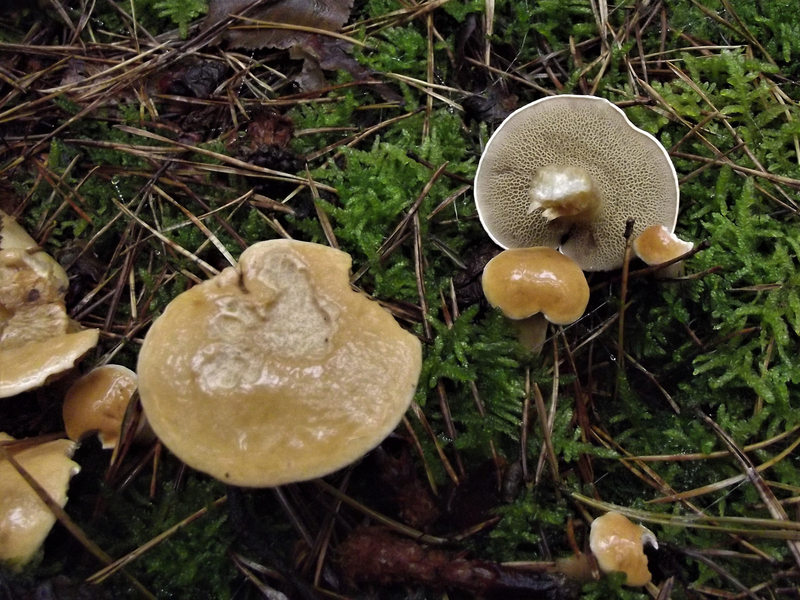 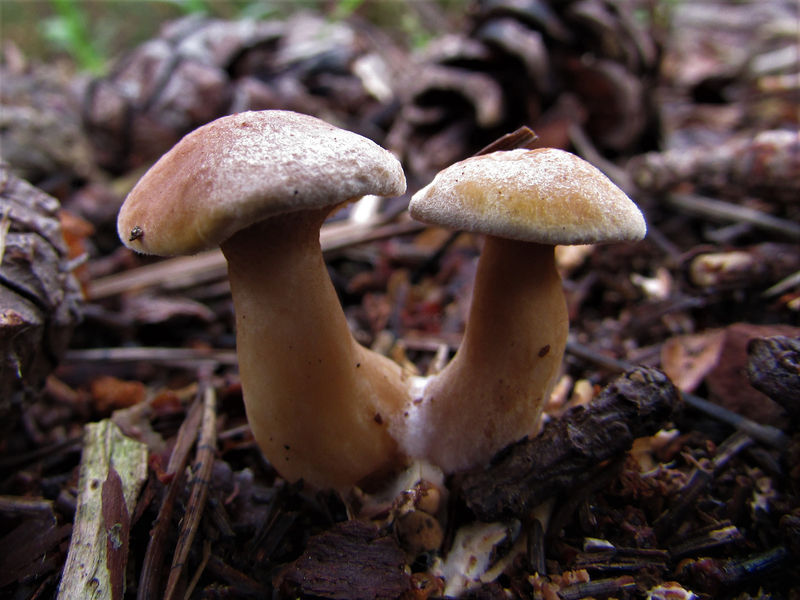 Concolourous with the cap with hints of pink at the bottom and on any exposed mycelium. 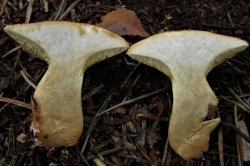 Mainly white/off white with some pale orange/buff colouring towards the base of the stem. 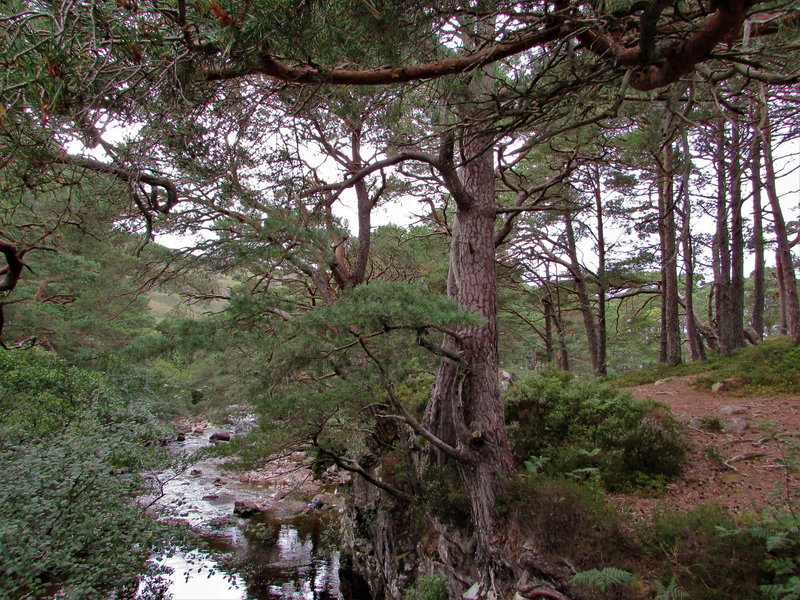 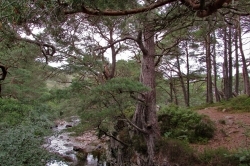 Coniferous woodland especially with pine. 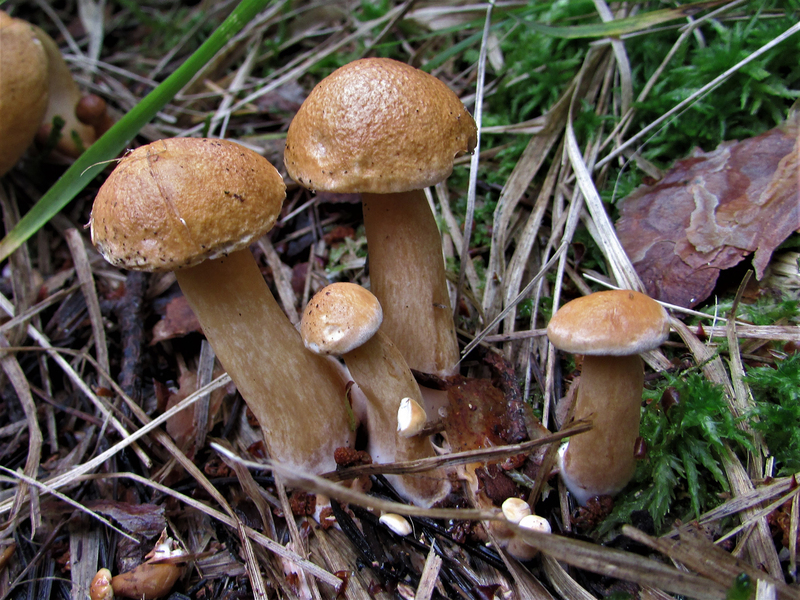 Other Suillus (see the Larch Bolete) but as none are toxic this should not prove a problem. 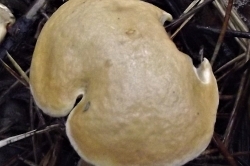 A bit sweet. 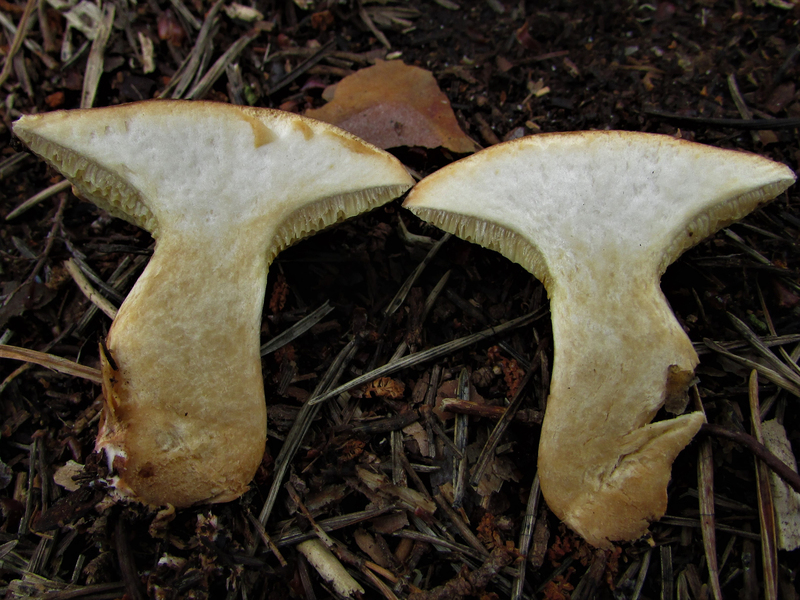 Should be cooked before consumption. 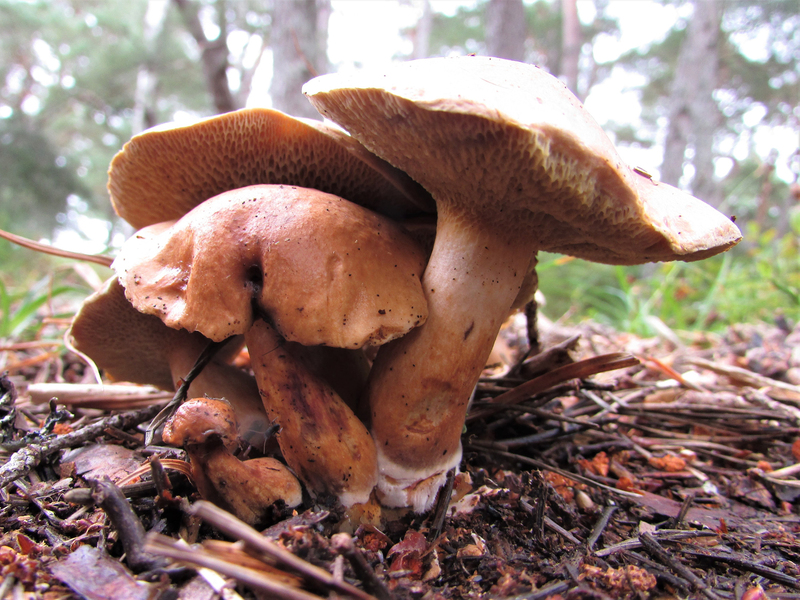 It is said that European medieval knights considered this mushroom of inferior quality preferring the Tricholoma species (now considered poisonous) that grew in Pine forests, leaving this mushroom for cattle-drovers, and this was the origin for it’s name. 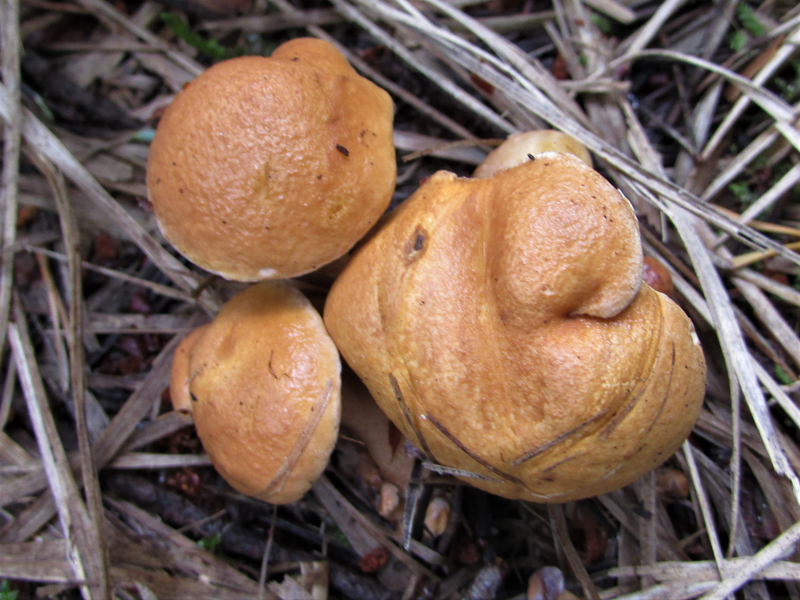 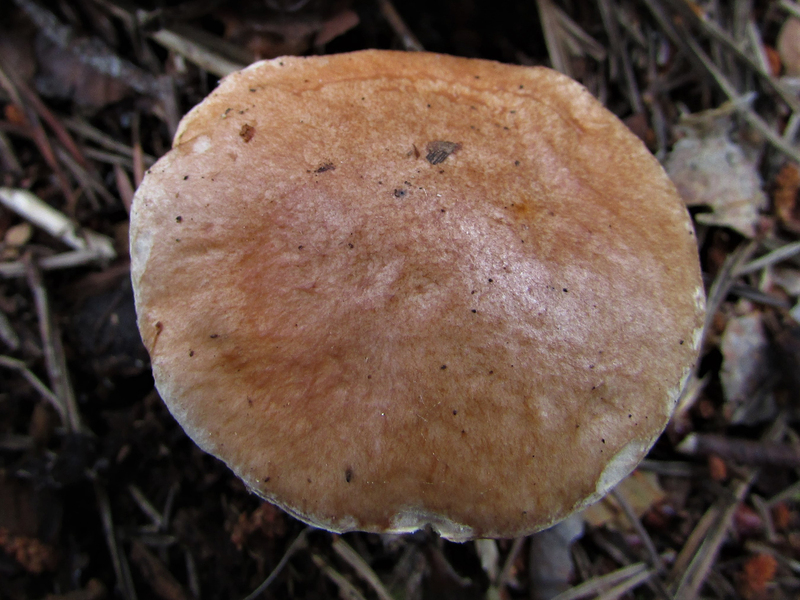 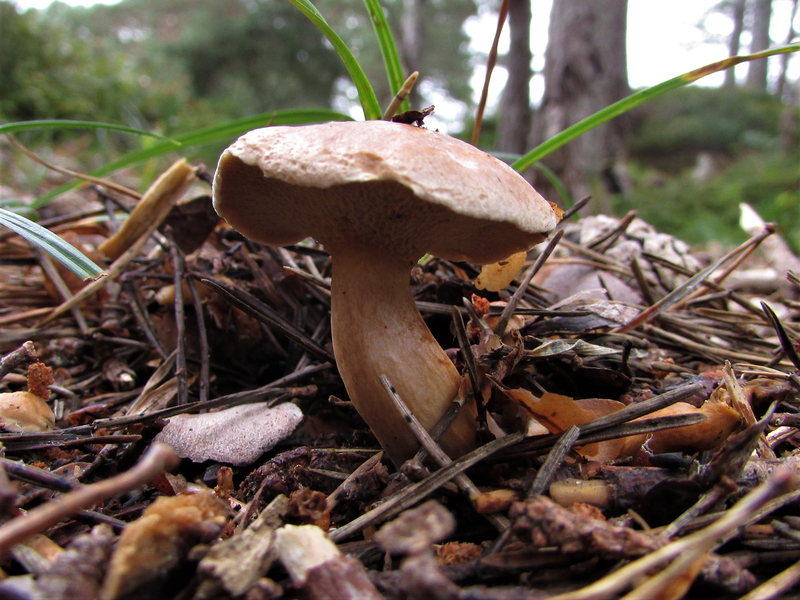 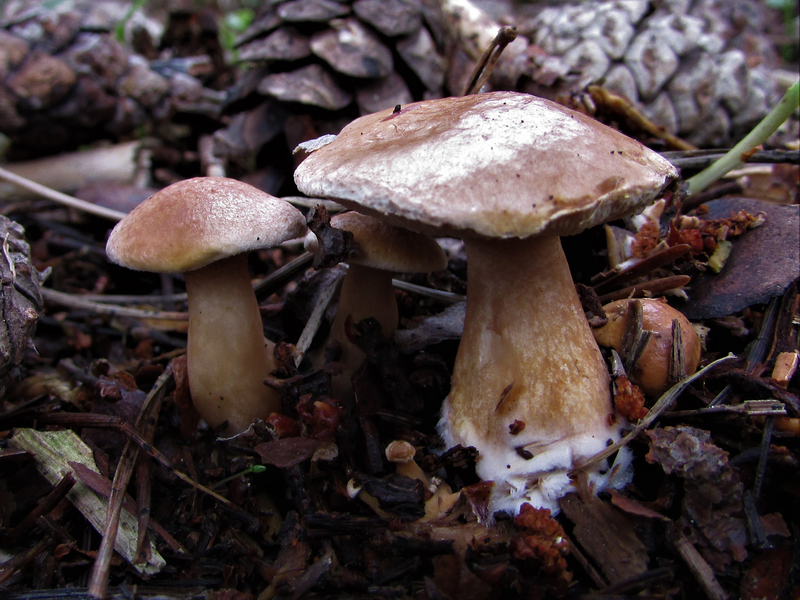 Where this mushroom is found you can sometimes find the Rosy Spike (Gomphidius roseus), a mushroom that is believed to be a parasite of Suillus bovinus. 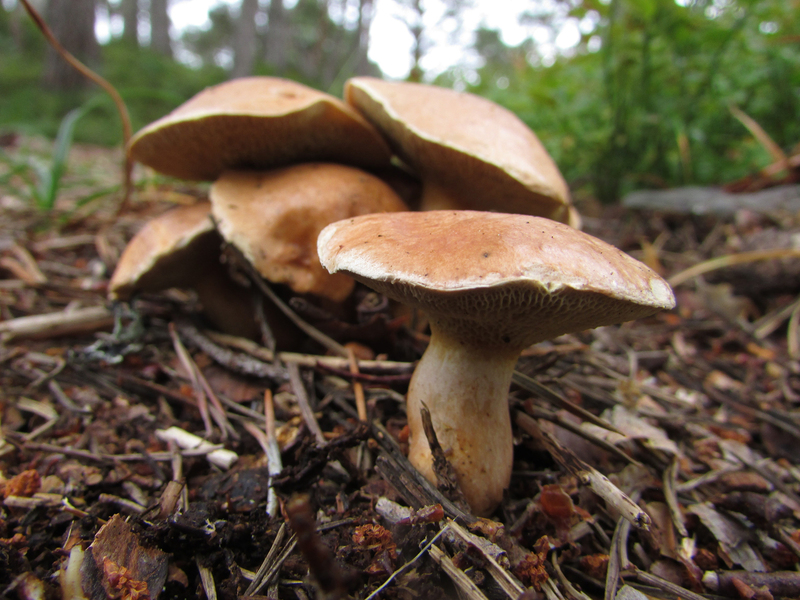 Suillus are not the best mushrooms when used fresh but are improved by slicing, drying and then re-hydrating. 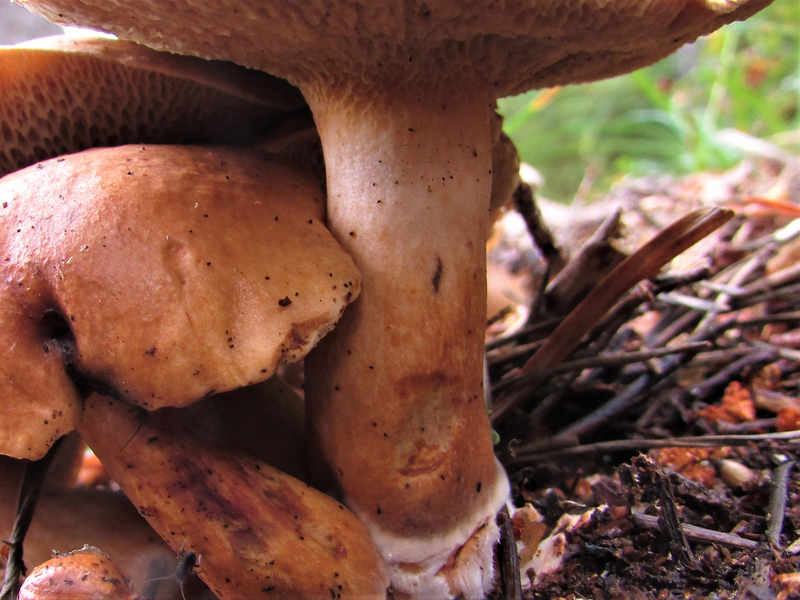 When cooked the Bovine Bolete flesh becomes violet.